Dos Amigos Authentic Mexican Food Restaurant is owned and operated by Mauricio Cabrera and Enrique Flores. Two friends, who have frequently returned to Mexico in search of the distinctive qualities that constitute "authentic Mexican cuisine," have collected and brought us, all the ingredients that take part in the tradition of creating genuine Mexican cuisine. 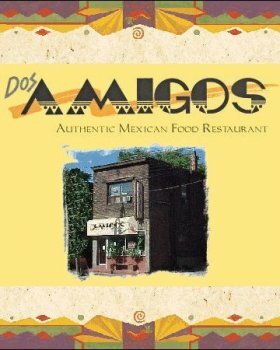 At Dos Amigos we believe in enjoying a meal from beginning to the end, so: Our unique menu is design and offered to you with daily market availability of freshly hand picked delicacies and spices that are required. Dos Amigos serves roughly 40 different Tequila brands from their bar. We have been to this restaurant about 3 or 4 times. The first time was to meet some local forum members and have dinner and a few drinks. This was our first stop on a planned Mexican bar crawl but by the end of the night we all agreed should have just stayed at Dos Amigos. Before I get on to some detail let me preface the selection rating with a note: Bars/restaurants in Ontario have to purchase all their liquor from the LCBO and there isn't usually a lot of choice on the shelves. 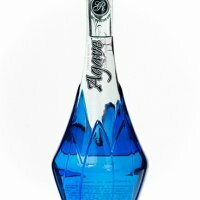 So to see approximately 40 different tequilas and allot of them 100% thats pretty decent. The building is simple and the decor a mix of tradition Mexican and what I call tourista Mexican. I love the wax candles by the bar. The patio is very nice on a cool summers night. We usually start with Guacamole and chips, both very authentic and tastie. No bagged nacho chips here. (if they are I want to know where they get them) We usually share the Parrillada Mixta which every time we have it brings me back to fond memories of one of our trips where El Agave/Industrializadora Integral del Agave treated us to dinner at their restaurant after a distillery tour. When we pulled up in our bus there was an open pit bar-b-q where they where roasting chicken, beef, pork, and chorizo sausage. Smelt great and tasted even better. The Parrillada Mixta brings me back every time. Another Favorite appetizer that we enjoy is Queso Fundido, which is simple melted cheese and chorizo sausage; cut it up and slide it into some nice soft tortillas... ummm uhmm good. We do need to expand and taste other things on the Menu but we have found favorites in the first things we have tried. Salud to Enrique. This is our home away from Mexico and we need to return soon.